The upcoming olive harvest in Palestine will be only half from last year’s, experts at We Effect’s partner organisation ESDC warn. 100,000 affected families are in rapid need to counter-act the effects of climate change. 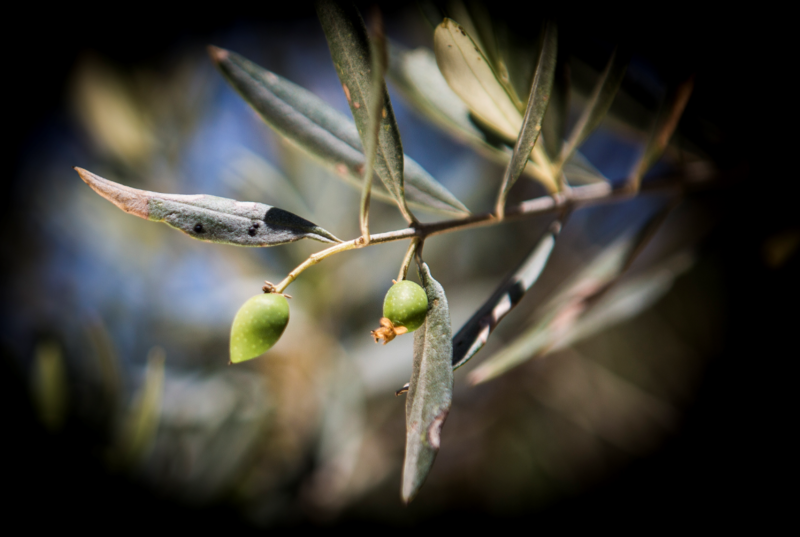 – Olives make up nearly half of the total agricultural production in Palestine. In the West Bank this translates to 25 percent of the economy, says Jamal Burnat, programs manager at ESDC. The projected harvest is a mere ten thousand tonnes of olive oil, half of the production in 2017, and to be compared with 24 thousand tonnes in 2014, says experts at the agricultural organisation ESDC, that represent 2500 olive farmers in Palestine. The sector, including olive oil, table olives, pickles and soap, is worth between $160 and $191 million in good years, according to UN body OCHA. – Up to 100,000 families rely on olives as a source of income in Palestine and will be greatly affected by the dramatic harvest decrease, says Nora Hamdan, Programme Coordinator for We Effect. Hot temperatures and less rain than normal during the spring led to a big drop in the number of blossoming olive trees this year, hence giving less olives in the upcoming harvest in September and October. Climate change plays a role, ESDC experts says. – This is not normal, this is a result of climate change, says Jamal Burnat, at ESDC. We Effect and ESDC are now calling for support, to make farmers adapt to the climate challenges. Irrigation and trimming olive trees to require less rain water, are possible counter-actions. Experimental demonstration farms, where new techniques to deal with climate change can be practiced and shared among olive farmers and experts, are other possible mitigation techniques. Palestinian farmers are also facing problems with Israeli settlers uprooting, and vandalizing olive trees. Last year, the number of Palestinian-owned olive trees vandalized by Israeli settlers trippled: 5,582 trees were damaged compared with 1,652 during the 2016 season, according to statistics from OCHA. 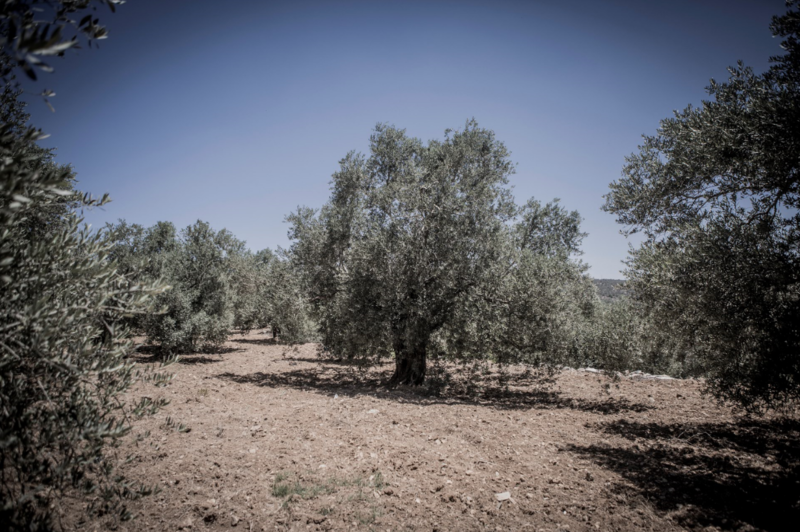 The separation wall has also caused major problems for the olive farmers. Farmers are denied access to their land and have only a few days, sometimes less, to do their olive harvest. 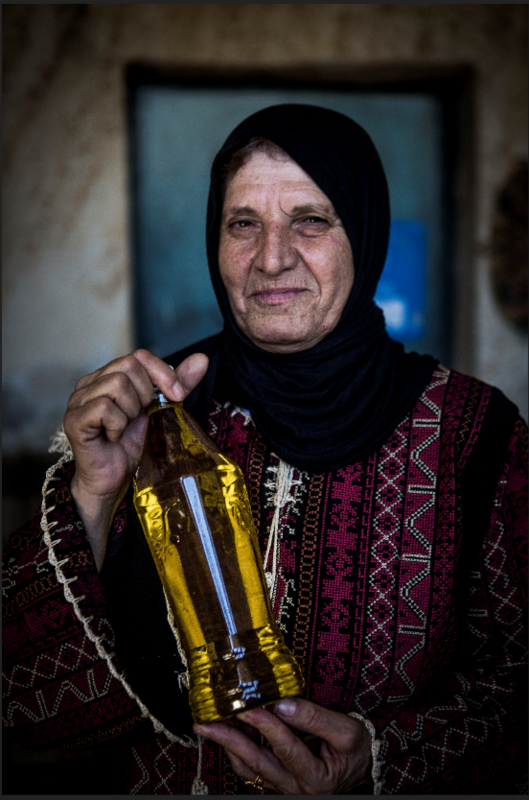 Owner of 70 olive trees, Maha Ahmad Al Masri, is among those affected by the dramatic decrease in olive production in Palestine. Jamal Burnat, programs manager, ESDC.